Cook pasta according to package directions (be careful not to overcook!). As soon as pasta is al dente, drain and run under cold water. Set aside. 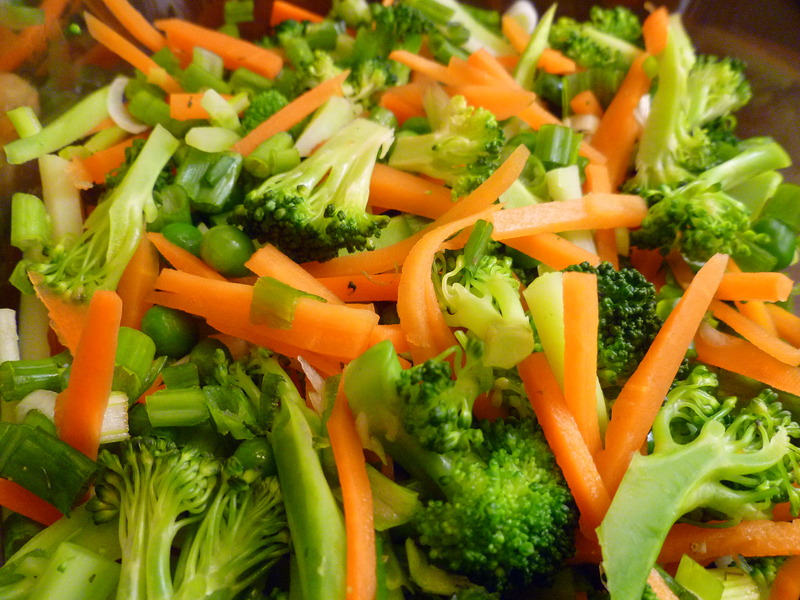 Put broccoli florets and julienne carrots in a steamer and steam for 5 minutes or until crisp tender. (See pic for how veggies will look after a quick steam). Meanwhile, combine all ingredients for dressing and mix well. Set aside. 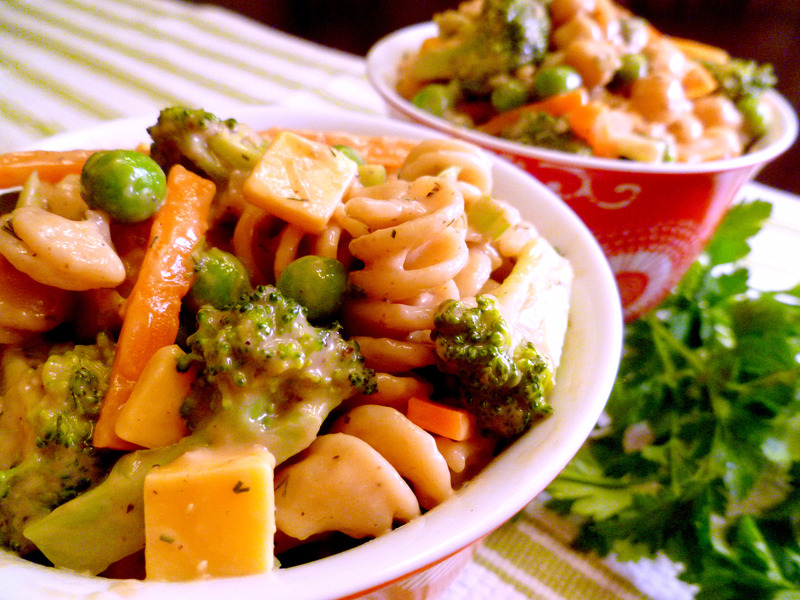 Combine pasta, broccoli and carrots, red pepper, green onion and cheese (if using). Add in about half the dressing and mix well. Slowly add in more dressing until pasta is the consistency you like (you may not use all the dressing). Add pepper and salt to taste. Footnote: For my household, I add in as much as an extra teaspoon or more of pepper or even a dash of cayenne for a spicy twist!